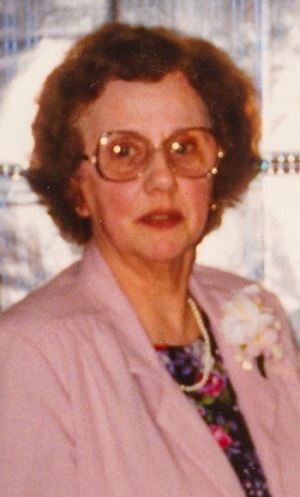 Eleanor Jane Fegley, 93, of Delaware Ohio and formerly of Cardington Ohio, passed away peacefully in to the loving arms of our Lord Jesus Christ on January 30, 2019 at 7am. Eleanor was born January 15, 1926 to Clarence and Naomi Mae (Angle) Hayes. Eleanor was a dedicated Mother, Grandmother and Great Grandmother. Her passion was reading, teaching Sunday School, spending time with her church family and vacationing in Florida. Eleanor was loved by her children and all the amazing staff at Ohio Living Sarah Moore and the Associates at Hospice. Her Godly wisdom and her daily presence will be remembered and missed by all that knew and loved her. In 1941, Eleanor married her childhood sweetheart, Eugene Fegley of 76 years. Eleanor is survived by her 17 Grandchildren, 24 Great-Grandchildren and 9 Children: Cleora Martin (Allan) of Tampa, Florida; Mary Ary (Ken) of Marysville, Ohio; Karen Patten (Robert) of Cardington, Ohio; Joyce Cooper (Harold) of Prospect, Ohio; David Fegley of Marion, Ohio; Rebecca Gornall (Gene) of Delaware, Ohio; Brenda Clingerman (Tim) of Gahanna, Ohio; Elizabeth Long (Eddie) of Hamilton, Ohio; Cheryl Iles (Neil) of Upper Sandusky, Ohio. Eleanor is preceded in death by her husband of 76 years, Eugene Fegley; parents, Clarence Hayes and Naomi Mae Angle (Hayes); and daughter Jane Ellen Fegley. Visiting and viewing hours will be held on Thursday, February 7, 2019, New Hope Baptist Church. 74 Wootring Street Delaware, Ohio 43015; 740-272-1961 between 11:00am and 1:00pm with Memorial Services held directly after the viewing at 1:00pm, with Pastor Eric Sapp officiating. In lieu of flowers, memorial contributions can be made to Ohio Living Sarah Moore, 26 North Union Street, Delaware Ohio 43015 or ohioliving.org/sarahmoore or Capital City Hospice, 1650 Watermark Drive Columbus 43215. Online Condolences may be expressed to the family at www.gompffh.com. Arrangements are being entrusted to Gompf Funeral Services of Cardington, Ohio.